Thanks to TLC’s hit reality show “90 Day Fiance,” many of us now know what the K-1 visa is. However, for those of you that don’t know what it is, the K-1 visa is a visa issued to the fiance or fiancee of a United States citizen to enter the United States. 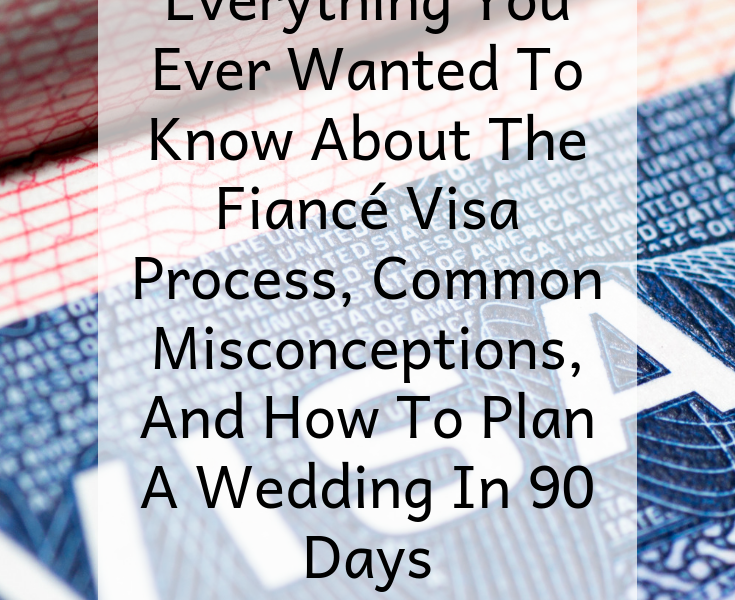 And from my personal experience, when I returned to the US after 3 years in Turkey without a fiance, people nodded knowingly when I told them we were waiting for him to have his interview to find out if he would be granted a fiance visa. First, let me clarify the fiance visa process for anyone looking for further details. Accordingly, deciding to get married happens well before your fiance from another country gets that U.S. stamp in their passport. Just like most couples out there with matching passports, the decision to get married happens at this magical time called “getting engaged.” In some countries, this happens the moment one partner asks the other if he or she would like to get married. And in some countries, this happens during a formal ceremony. In our case, navigating Turkish and American cultures, in my mind we were engaged the second my husband asked, but out of respect for his culture, we didn’t state anything publicly until we had a ceremony in his village, complete with a ribbon cutting and kissing the hands of all the elders. But I digress. 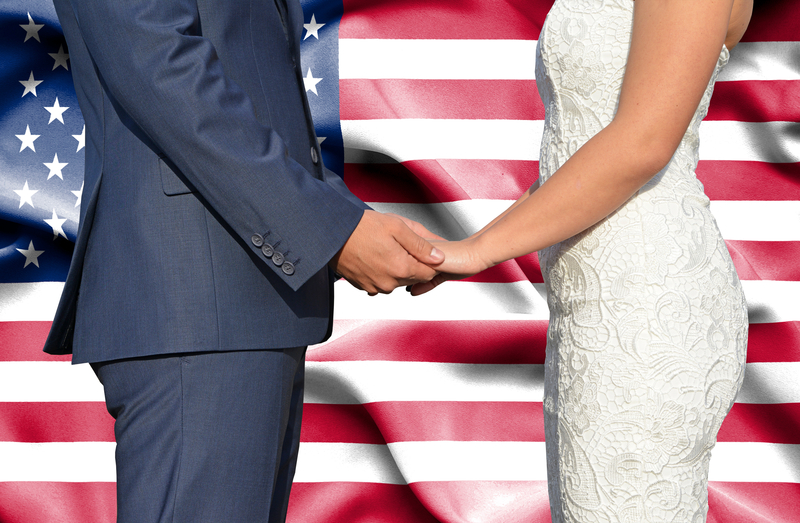 The reality of a K-1 visa is that it grants the bearer a period of 90 days to get married to their fiance. Once the wedding happens, then the process continues with an application for Adjustment of Status, which, when successful, will result in a Conditional Green Card for the recipient. 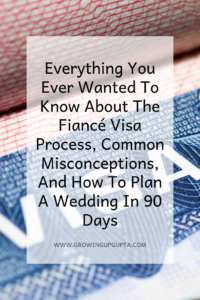 Undoubtedly, this process raises a lot of questions, and one of the most common ones I’ve seen is, “How do you plan a wedding in 90 days?” I know it’s a question that gave me a fair amount of stress early on in our visa journey, and I’m here to share the solution that struck us as the best. 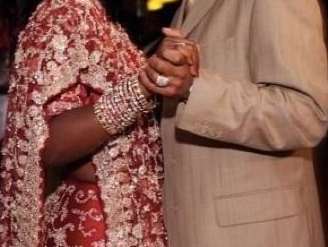 I had always wanted to have just one wedding day – one special day to celebrate a relationship, a commitment, and gather all of our family and friends together. I think this is a fairly common desire, so it makes sense that anything else might cause some discomfort to a bride- or groom-to-be. And candidly, I believed that, in a short time, we could throw together a great celebration and have that perfect day. But I didn’t bargain for the fact that wedding logistics require planning and the collaboration of a number of people. Logistics get even more complicated when you have family coming from out of state or even out of the country. Additionally, if you use the full 90 days to plan your wedding, then you inevitably delay your partner’s Adjustment of Status that much more. Why is this important? Well, there is this handy little form called an Employment Authorization Form that you file along with your Adjustment of Status. And until you get that employment authorization, guess what your partner can’t do? Yep, you guessed it. Work. And when you compound the stress of moving to a new country and starting a new stage of your relationship with one of you being unable to work, it can create stress. That bears the question, then. Is it more important to have your quickly planned wedding day or to move along your partner’s immigration progress? Let me post an alternative that is, in my humble opinion, a win-win. What if you separate your wedding ceremony from your reception? 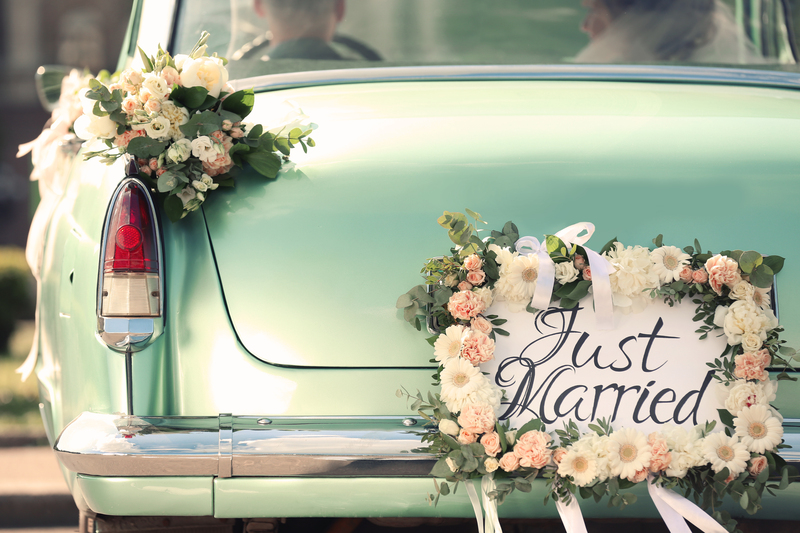 That way, you and your partner could legally marry as soon as possible, and begin processing the Adjustment of Status papers as quickly as you can complete them. And then, in a few months or a year, you can have a party to celebrate with all of your loved ones. Family and friends will appreciate the warning, which makes it easier for them to plan ahead and be there with you. And you and your partner will appreciate the time to plan your party without dealing with immigration and tight finances from a single-income home at the same time. 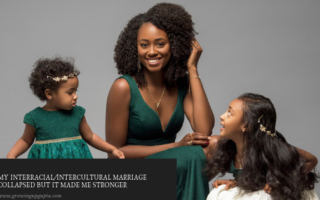 What did you think of KC’s informative post on the fiance visa process? Thank you, KC for sharing your in-depth knowledge with us on this subject matter and how to create a win-win for your 90-day wedding! Find out more about KC and check out her podcast @www.borderlessstories.com or on Instagram @https://www.instagram.com/kcmciftci/. Did you know about the Fiance visa process? Did you plan a wedding in 90 days? What tips can you share on this topic? Post a comment below or on Instagram. 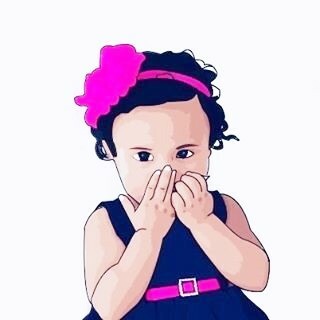 Have question questions for us? 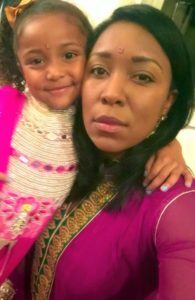 Write us @growingupgupta@gmail.com and find us on Twitter @growingupgupta and on Facebook, Instagram, and Pinterest @growingupguptas. This post contains affiliate links which support the operation of this blog!